If you thought Sergey Kovalev was finished as an elite fighter, you weren’t alone. And if you thought Kovalev harbored similar thoughts, that he too questioned his place in the sport, his desire to regain or preserve it, those ideas could find many an agreeable ear. 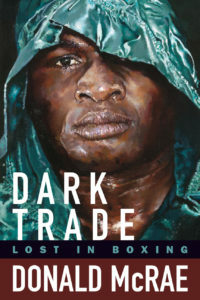 These weren’t contrarian views, not in boxing, where you cannot tuck your character behind your gloves, where the consequences of one bad night can be myriad, unseen, and final. Recent evidence suggested Kovalev was either undeserving of his mystique, on the slide, or both, and none of that evidence was more striking than last August’s offering. After treading water on Adonis Stevenson’s championship layaway program, Eleider “The Storm” Alvarez shifted focus to Kovalev and dealt “The Krusher” the second knockout loss of his career (and second in four fights). It was not a quick knockout, one of those emphatic yet occasionally misleading spectacles; nor was it an especially dominant performance, as Alvarez had suffered heavy leather for his defining win. But that only made the outcome more damning. Kovalev tried to put Alvarez away, failed, and was battered senseless. There was no recourse to complaining about low blows or officiating—Kovalev’s tactic in rationalizing his beatdown by Andre Ward a year prior—only the challenge of reassembling the pieces of a career, of a man, thrice smashed to the canvas. Whispers about Kovalev’s bouts with the bottle rustled anew; in January he was charged with felony assault for punching a woman last June. This behavior seemed indicative of a fighter in turmoil. Even his trusting Buddy McGirt to prepare him for the Alvarez rematch looked suspicious, convenient: the Vero Beach trainer is best known for pulling the chute for a free-falling Arturo Gatti almost twenty years ago. There was, of course, Alvarez to deal with too, formidable as man and memory alike. But if you thought Kovalev was finished, you were wrong. He regained his WBO light heavyweight title at the Ford Center at The Star in Frisco, Texas, on Saturday, routing Alvarez by wide unanimous decision. Suffice it to say, Alvarez is not as good as his career-best performance from August indicates; only the great meet this singular standard more than once. He struggled with lesser fighters than Kovalev, including a shopworn Jean Pascal (twice pulped by Kovalev) whom Alvarez squeaked by before the first Kovalev fight, and went feebly to defeat against a man he’d whacked helpless less than six months ago. If this assessment of him seems an effort to deny Kovalev his due, there is always this truth to clutch: Alvarez entered the ring Saturday before all else the man who destroyed Kovalev last August. That was who Kovalev was facing—that is who Kovalev tamed. Make of that taming what you will, but such feats are uncommon. Perhaps Alvarez thought he need only bide his time before Kovalev would proffer his chin once more and his daylights with it? That thinking would grossly exaggerate the power of a fighter with only twelve knockouts in twenty-four wins. Alvarez, 24-1 (12), spent the night waiting for an opportunity that would never come; and for that Kovalev, and probably McGirt, deserves credit. There seems little technical wisdom McGirt could impart to Kovalev, but the Russian fought to his strengths—as McGirt had trained Gatti to all those years ago—so let’s assume correlation is causation for now. Kovalev darted in with quick straights, mixing up his entry behind jabs and lead crosses, and often finished with a jab to disrupt Alvarez’ counters. In their first fight, Kovalev, perhaps tired, perhaps careless, let his hands drift low. Eventually, Alvarez found him with the counter right that began Kovalev’s end. There was no such right hand on Saturday, and nothing faintly as damaging. Which is not to suggest that Kovalev, now 33-3-1 (28), had it easy. Alvarez was never in the fight, but the psychical resolve the fight demanded of Kovalev should not be glossed over. George Groves, seconds from stopping Carl Froch in their first fight was ahead on the cards when Froch forced a referee stoppage in the ninth. While he fought well in the rematch, Groves was liquified a round earlier. Vernon Forrest, his title clubbed from him in three rounds by Ricardo Mayorga, was unnerved throughout the rematch and lost a decision. Pummeled by Antonio Margarito in their first fight, Miguel Cotto stretched his discipline near to breaking in winning the rematch. More often than not, vengeance eludes the knockout victim. Knowing you can beat your conqueror is not the same as knowing he’s your conqueror. Already humiliated by Ward, who made a quitter of him in their own rematch, Kovalev was again facing an opponent who had taken his worst and paid him back in spades. And he was fighting the memory of being found wanting not just as a fighter but as the destroyer his reputation was based on. To regain the latter would require Alvarez’ head. Kovalev tried for it but never at the expense of his own. Against the best, then, he is not the trauma artist of his billing, though the ability to not succumb to the pressures of your reputation takes a resolve of its own. Whether that resolve is complimentary is left to the eye of the beholder. There is no greatness to harvest from a win over Alvarez, however unexpected that win may have been. 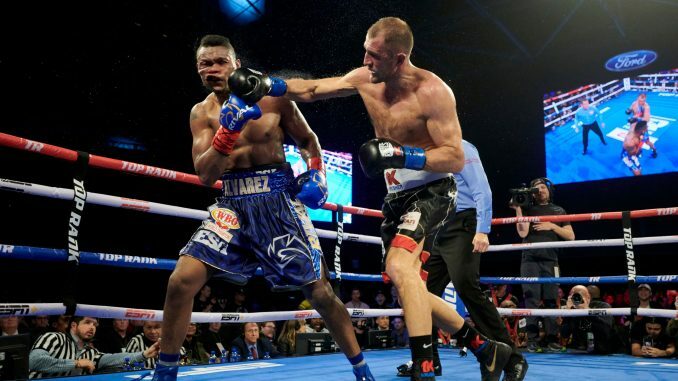 But in the buildup to Saturday’s rematch much was made of the trio of knockdowns Kovalev suffered in the first fight. Rightly so. That he needed to rise repeatedly to suffer that many? Perhaps not enough was made of that.